Huge upcoming week handball fans! The Simple Green U.S. Open of Handball is just days away, so there is a lot to discuss. 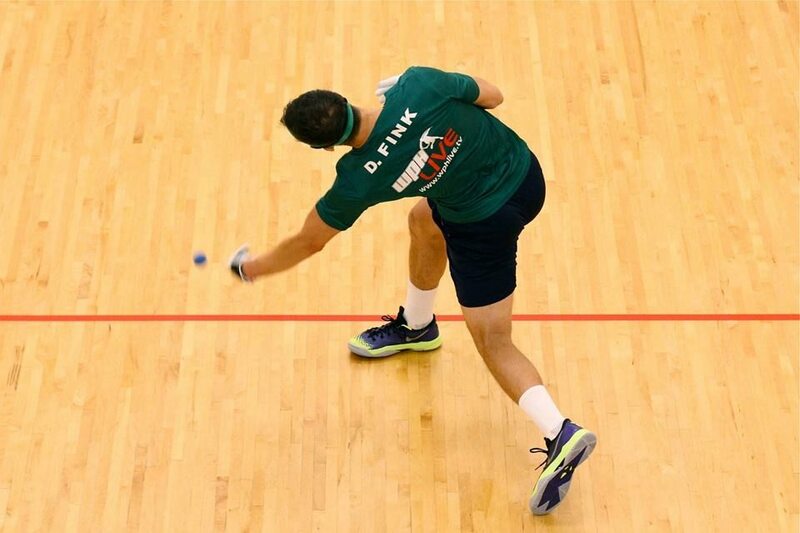 Check out the Simple Green U.S. Open preview, take a close look at WPH R48 #1 Luis Moreno’s surprising results in his last seven starts, check out the hottest rivalries in the sport, and revisit why the Irish have taken over 4-Wall handball. Make sure to read the question and answer section below the links! Send your questions and comments to fink@race4eight.com or tweet @DFWPH to have your questions and comments posted next week. The MMS will be back next Wednesday, October 29th. If the Jake Plummer bash was not an official Race 4 Eight stop, how did Emmett Peixoto win a yellow jersey? Thanks for the question Tom! The Pre-Race Plummer Bash was not an official R48 stop, but it was sanctioned by the WPH and featured a monstrously strong field, including WPH R48 #1 Luis Moreno, former #1 Sean Lenning, former 5-time R48 finalist Naty Alvarado, and current #2 Emmett Peixoto. The WPH can determine a sanctioned WPH event to be a “yellow jersey” event before the event starts, and that’s what was done in the Plummer Bash. What is the best college out there for me if my main interest is playing Handball? Alejandro, thanks for the great question! College handball is very strong right now, and I believe colleges are the best avenue for introducing and retaining new players, based on court availability and the enthusiasm of young adults to play sports. What do you think the draws will look like for the men’s open singles at the simple green? 4w, 3w, and 1w? Thomas, very interesting question! The WPH does not make the draws at the U.S. Open so I would only be guessing here. In 4-Wall, I think Moreno will be the #1 seed, based on his #1 ranking and being the defending champion. I think Brady will be seeded second, despite his #5 ranking. If Brady is moved to #2, Peixoto will go to #3, Alvarado to #4, and Ortiz to #5. The wildcard will be former #1 R48 pro Charly Shanks, who has no ranking because of not playing a Race event last year. No one in the top 8 will want to face Shanks in the round of 16, but one of the top 8 will be forced to do so. I could see Shanks seeded anywhere from #9-12. Santos is ranked #1 on 3-Wall big ball, but I suspect that Samzon will be seeded #1 based on winning the U.S. Open last year, which is a rule unique to handball and one that I will never understand. Ricky Ruiz should be #3, meaning that he would play Santos in the semis. Ruiz beat Santos in the semis last year, and as you know, beat Samzon in the last WPH Outdoor Player’s Cup event in Vegas last month. Chava Cordova will likely be #4. The 3-Wall big ball wildcard will be Tyree Bastidas, who despite having limited 3-Wall big ball experience, is an all-court star who can beat anyone in any code of handball. Several of the top 3-Wall big ball singles stars, including Kevin Gonzalez, Lobo Valencia, Shorty Ruiz and Flash Tojin are playing doubles, which will open the door for some new names in the singles. The 1-Wall singles draw features defending champion and #1 1-Wall big ball pro Timbo Gonzalez, as well as Gio Vazquez. The pair should meet in the finals, although Chris Show and Andres Calle will provide stern tests in the semis for both Timbo and Gio. Samzon vs. Santos, U.S. Open Final, who is the favorite? What style of handball do you think of handball is the hardest? One wall? Three wall or four wall?